I just cracked open Adventures in Old New York* (Bowery Boys 2016), a birthday gift presented to me last month. There’s an entire chapter on Central Park, which I have visited too many times to count, but I didn’t know the quarter mile path bordered by huge American Elm trees that makes a straight shot north from the zoo to the Bethesda fountain and terrace is called The Mall**, and the southern part of it is known as Literary Walk. It’s here that our Bowery Boys make the gay connection. Literary honorees include Sir Walter Scott, Shakespeare and Robert Burns, but there’s also a statue of Fitz-Greene Halleck. Who? Never heard of him. Turns out Fitz-Greene Halleck (1790-1867) was a Connecticut-born writer of romantic and satirical poetry who was so popular that 10,000 rabid poetry fans joined President Rutherford Hayes and his entire cabinet for the dedication of his Literary Walk statue in 1877, marking the tenth anniversary of the writer’s death. Imagine that today – 10,000 people attending the unveiling of a statue of a poet. Hard to believe, but at that time (pre-radio and TV) authors were the celebrities of American culture. Halleck enjoyed tremendous readership among the general public, even though his poems and essays were infused with homosexual themes. Considering late nineteenth-century mores, the celebrants likely played down the gay stuff. Halleck was dubbed “the American Byron” during his lifetime. Edgar Allan Poe wrote, “No name in the American poetical world is more firmly established than that of Fitz-Greene Halleck.” Charles Dickens spoke fondly of Halleck, and Abraham Lincoln read his poems out loud to friends at the White House. 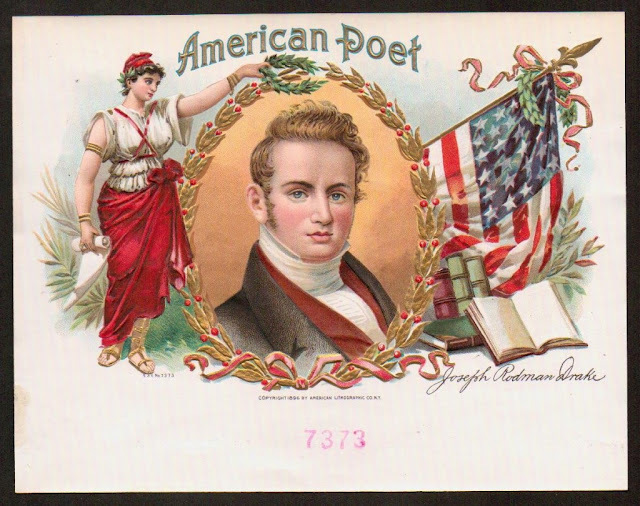 Newspapers published his newly-minted poems all across America and Great Britain. These were extraordinary endorsements, considering that Halleck’s writings had “gay” written all over them. Not all criticism was positive. Mark Twain ridiculed Halleck and referred to him as "girl." 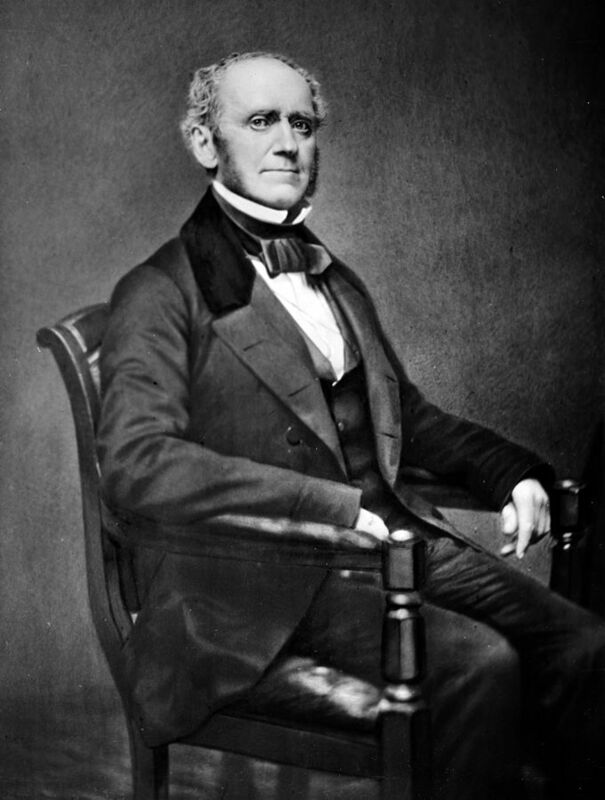 Fitz-Greene, also an essayist and noted Byron scholar, moved to NYC when he was twenty-one and found a job as personal secretary to John Jacob Astor. Halleck became one of the original trustees for the Astor Library, which later formed the nucleus of the New York Public Library (Fifth Ave. at 41st Street). Halleck was love sick for a certain fellow poet Joseph Rodman Drake (1795-1820), who partnered with Halleck in writing The Croaker Papers, a satirical send up of New York society. Published anonymously and serialized in leading newspapers, these poems seemed to delight even their targets of derision, the upper crust of New York City. Both writers were members of the “Ugly Club”***, a club specifically for handsome young men. Drake played the flute and had a fine singing voice, and joined by Halleck’s recitations, the two would entertain the membership of The Ugly Club. The two soon became inseparable. Drake’s relationship with Halleck was fictionalized in what many call America’s first gay novel, Bayard Taylor’s “Joseph and His Friend” (1870, three years after Halleck’s death). The book is addressed to “those who believe in the truth and tenderness of man’s love for man.” Taylor had known both men and even delivered a speech at the dedication of a Halleck statue in Connecticut, in addition to the one in Central Park. See sidebar for separate post on Bayard Taylor. But Drake (pictured above, on a vintage cigar box label), who had studied medicine, was unable to delay his early death from tuberculosis, and Halleck mourned the loss for the rest of his life. When Drake died, his coffin was followed by thirty carriages, a fitting tribute to his enormous fame at the time. Drake had married a year before his death, and Halleck reluctantly served as best man. “I officiated as groomsman, though much against my will...He is perhaps the handsomest man in New York – a face like and angel, a form like an Apollo...I felt myself during the ceremony as committing a crime in aiding and assisting such a sacrifice.” While Drake was on his honeymoon, Halleck could not eat, sleep or work, and fell into a serious depression. Such was the extent of Halleck’s life-long obsession with Drake that in his will the poet asked for Drake’s body to be exhumed and buried next to him. Halleck’s biographer described the poet’s last major work, “Young America,” as both a jaded critique of marriage and a pederastic boy-worship reminiscent of classical homosexuality. Halleck rhapsodizes over his fourteen-year-old male subject in salacious detail. All of this was news to me. So a recent warm spring day found me strolling Central Park’s Literary Walk, where I located Halleck’s granite statue. There he sits, with legs crossed, for all eternity. According to the Bowery Boys, his was Central Park’s first statue of an American. *528 pages of fascinating details of NYC’s history told in a way that never fails to captivate. The Bowery Boys are the transplanted midwestern guys – Greg Young and Tom Myers – who produce award-winning podcasts about NYC, their adoptive home. **The mall is on the east side of the park, running roughly from 66th-72nd streets. ***The Ugly Club was exclusive to the point of secrecy. Membership was by invitation, and open only to the handsomest and most foppish young men in NYC. They held seances and all male balls and recruited members from “what the ladies call rather pretty” and the men called “models of manly beauty.” Even so, there is no evidence that it was an exclusively homosexual body. Halleck’s poetry is breezy, charming and witty. One can understand his popularity among readers of the day in this excerpt from “Fanny”. What many readers missed, however, was that his poem was the vengeful response to the fact that Drake withdrew from their writing partnership upon marriage. This poem rails against matrimony, suggesting that marriage should be for money (Fanny’s father was rich! ), not love. Wisdom and wit, were his—perhaps much more. ’Twas strange they had not found it out before. The gathering gloom to-day, the thunder cloud to-morrow. The American Byron: Homosexuality and the Fall of Fitz-Greene Halleck (2000), by John Hallock. Thank you- I've enjoyed FANNY myself, though getting annoyed at Greene's tendency to write a lovely stanza, only to end it with a joke. "that fond forgetfulness of grief" has a nice flow. He also indulges in the 19th C habit of rapturous nature-painting. Rodman Drake's "The Culprit Fay" is worth a read, as it has some lovely images...though Poe dammed it with the faintest of praise. And what is to say about Joseph Green Cogswell (September 27, 1786 – November 26, 1871)?